Asking prices for London property fell for a second month in July as an increase in the number of homes for sale softened the market for sellers, Rightmove plc said. Prices sought in the UK capital fell 0.4% from June to an average GBP587,174 (S$1.25 million), the property website operator said in a statement yesterday. Across Englandand Wales, prices fell 0.8%, their first decline since December. The UK property market is losing steam, after the Bank of England said it posed the greatest risk to the economic recovery. Financial stability officials set a cap on loan-to-income ratios last month to prevent surging prices leading to an excessive build-up of debt. The declines are "a sign of some sellers asking beyond what buyers and lenders judge to be affordable or fair value", Miles Shipside, director at Rightmove, said in a statement. "Market conditions still compare favourably with this time last year, with growth in both the economy and employment, plus a comparative thaw in mortgage availability." The number of properties offered for sale in Londonis 15% higher this year than the same period in 2013, according to Rightmove. New sellers rose 28% from a year earlier. The decline in the capital was led by three districts, Islington, Wandsworth and Kingston, each of which fell 3.8% on the month. Nationally, of the 10 regions tracked by Rightmove, seven posted declines. These were led by 1.9% falls in the East Midlands and the North. Rightmove yesterday refined its forecast for 2014 house price growth to 8% from a previous prediction of 6 - 8%. A stronger pound may also be deterring foreign buyers by making UK assets more expensive, Rightmove said. The UK currency reached US$1.7192 on July 15, the highest since October 2008. That point was echoed last week by Deutsche Bank economist George Buckley, who said the gains in Sterling along with global economic weakness and the withdrawal of BOE stimulus may sap demand for homes in the capital. "There seem to be more downside than upside risks to Londonhousing going forward," Mr Buckley said. "While we do not expect a crash in Londonproperty prices, we do expect price pressures to ease going forward and would not be surprised to see outright falls in asking prices. "- Bloomberg. 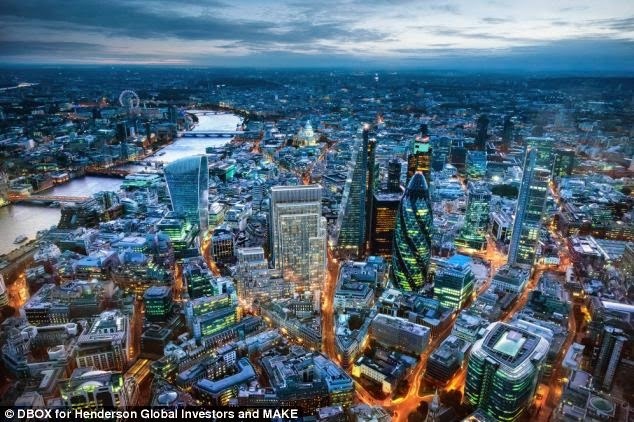 The wife and I were kinda glad that we decided to exit the Londonmarket during the early part of this year, immediately upon the TOP of our property. It is still very much the norm that UK home buyers prefer to buy properties that are ready for occupation. Our original intention was to "hold and rent" but after seeing the deluge of private homes that were coming onto the market over the past year, we reckon that it may take a longer than expected time to rent the place out, especially if we insist on a certain level of rental yield. Although investment in Londonproperties may not seem to be as attractive now, it may not be a reflection on the state of affairs for the whole UK. If one bothers to look north of the border (i.e. Scotland), there are still some decent opportunities to be found. As one prominent Scottish property consultant commented on their latest price report for June 2014, "The improvement in market activity (in East Central Scotland, which include Edinburgh) in 2013 has continued into 2014 with a notable rise in the number of homes being bought and sold. Conditions are more favorable for sellers, with more homes achieving Home Report valuation and selling times shortening. We’ve also seen a continued rise in the popularity of the Offers Over approach to selling a home, with roughly two-thirds of homes coming onto the market being advertised in this way. "Whilst the market has improved it’s worth putting the growth we’ve seen in perspective. The number of sales we’re seeing is still around 25% lower than at the peak of the market and the rate of house price inflation in most areas in moderate, especially when compared to the rapid rises being observed in some areas south of the border." No Comment to " London property market: Prices fall in July for second month running "